Looking for the best travel pillow for long-haul flights? With all of our international travel, we spend a lot of time on planes. That means we’re often faced with the challenge of trying catch up on sleep while en route to our next destination. I’m fortunate enough to be able to sleep easily on planes and trains. However, I also suffer from back and shoulder pain a problem that is only further exasperated by stiff sleeping conditions. A great travel tip is to mitigate this by purchasing a pillow designed for sleeping upright in a seat. Every traveler has different desires in the perfect travel pillow do you want it to be soft, firm, foam, offer neck support, or be inflatable for convenience. Companies have a caught on to the wide demand for a travel pillow and delivered a range of products that range from the traditional u-shaped pillow to inflatable versions, to classic pillow shape and some really wacky creations. We’ve taken a look at some of the best travel pillows on the market and share the best. No more leaning on nasty germ filled windows, no more stiff necks, and no more red-eye flights filled with no sleep. It’s time to get a decent rest on long-distance flights. We always pack one in our carry on bags, and they make a world of difference on the body. There are some really creative pillow options that we’re happy to share. This travel pillow has a unique design that may be the answer for some. It’s similar to a scarf with more padding and can be wrapped around the neck, arms, and back to offer support in a number of ways. I love that the product is made with bamboo fabric. Bamboo fabric gives allows for it to be hypoallergenic, anti-microbial, and soft to touch. Can be used for back support. Final Verdict: The size and awkwardness of the Skyrest Travel Pillow is only acceptable for long-haul flights. The Skyrest Travel Pillow is an unconventional and new travel pillow that allows you to sleep leaning on your tray table. The Skyrest supports your chin while seated and allows you to sleep face down or to the side. It is a forward facing pillow that supports your upper body and neck. Skyrest is inflated with a few big breaths (they claim you can do it in five) and deflates by opening a valve. The Skyrest pillow is roughly the size of an IPad so it can fit in purses and carry-on bags with ease. Good for all sizes. Adjustable in size by deflating and inflating the valve letting it fit perfectly in your carry on luggage. Sufficient room between you and the seat in front of you. Large open space to place hands. A pillow shaped like the letter “J”..let’s dive in. This pillow sits under your chin to offer your entire head support. No more “bobbing” up and down while dozing off. 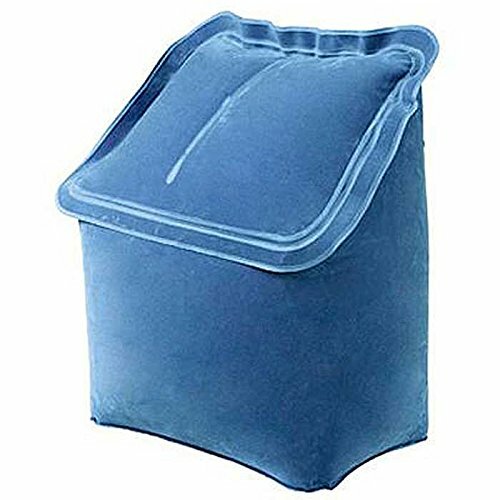 The pillow is light and easy to carry, but it is not compact. The J Pillow can also be washed, not just the outer lining, so you will be free from all those germs picked up mid-flight. Great for side sleepers on planes and at home watching TV. Good for all shapes and sizes. Multiple users complain that it is too bulky and does not pack up right. Only supports one side of the head. You will have to manually switch the pillow if you want to lean the opposite way. Final Verdict: The versatile of the J Pillow make it a good choice for home users, but not for travelers wanting to save on space. 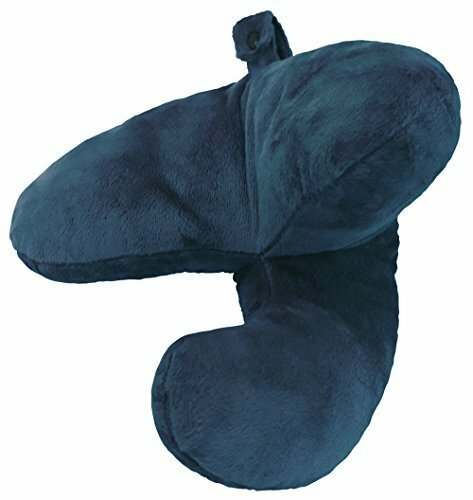 The Be Relax travel pillow comes in the shape and size of your typical normal travel pillow. However, it comes with all the bells and whistles of something much more. This memory foam pillow has 360° Ergo Smart flat back shape. 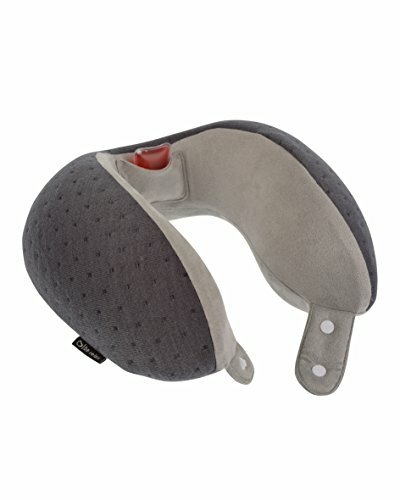 The high-density memory foam allows the travel pillow to conform to your neck for optimal comfort as well. Are you ready for the best part about this airline pillow? It’s the heat patch situated right at the back providing relief for any neck tensions you may have. Comes with a travel pouch for the pillow to roll up into. Final Verdict: I absolutely love this pillow. 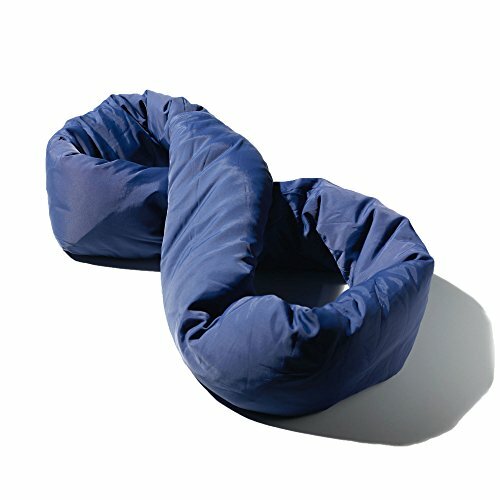 It’s soft and uses high-quality memory foam while still retaining the shape of a regular travel pillow. The heat patch is just an added bonus. 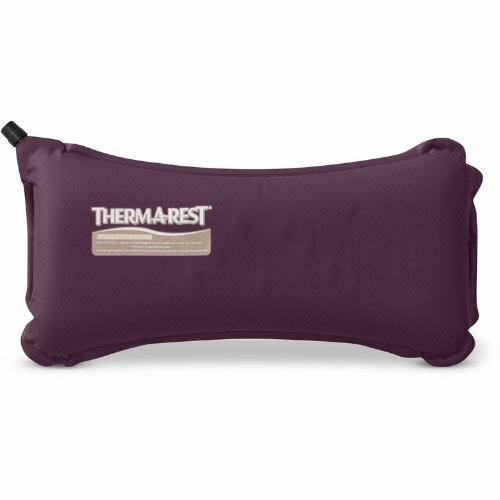 The Therm-a-rest is your traditional inflatable pillow. There aren’t many bells and whistles here. Just a straight pillow that is good for lying down or leaning against a window. The Therm-a-Restis good not only for flights, but also for camping, sleeping (unexpectedly) in airports, and for long train rides. The memory foam is comfortable and really mends to your head and body. Good for the head, but also firm lumbar support. Comes in different sizes and vary by price. Not much neck support, ideal for laying down but not for sitting up on a plane. Final Verdict: The Therm-a-rest is a no frills inflatable pillow good. It’s great for saving on space, but not very innovative on creating comfort. The Cabeau Evolution Pillowis one of the top travel pillows for long haul flights on the market. However, it comes at a steep price point. The good news is that it has 360-degree support for all around travel. The pillow even has a water repellent travel bag and comes with memory foam earplugs. The Cabeau Evolution Pillow is flexible and lets you sit comfortably with your head forward or to either side. Raised side supports to help with neck pain. One size fits all technology may make it uncomfortable for some. Some users report the Cabeau does not fit well with headphones on. Final Verdict: The Cabeau Evolution is similar to many other travel pillows on the market. The difference here is its 360 support. It’s one of the best travel neck pillows for long flights but isn’t as compact as some of the others on this list. 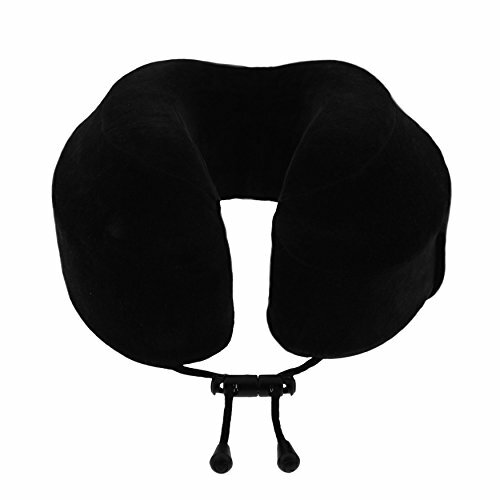 Comfort is the most important aspect to consider before buying a travel pillow. If you can’t fall asleep while with your pillow on a long haul flight, or any travel for that matter, what is the point? Having a comfy place to lay your head is crucial and the main reason for this list. Can you pack this pillow up when you’re on the go? Is it light? Can it fit in a carry-on bag? Looking at the logistics of the best airline pillow is key as conserving space is important when packing for your long haul flight. On top of space, you don’t want an airline pillow so big that it is a hindrance to take out. You don’t want to be “that person” with a monstrosity of a pillow. Low key pillows are key to a good and efficient design. Are you a side sleeper or stomach sleeper? Do you tend to fall asleep on a tray table or against an airplane window? All travel pillows are made for different sleeping styles and patterns so be sure to recognize what you fall into and opt for a travel pillow that is made for you. The Essential Europe Packing List: Don’t Forget To Pack This Stuff!